Over on Twitter, I came across this beautiful chart, aptly titled – Joyplot. It is the kind of chart that makes you all curious and awed. So I did what any Excel nerd would do. Recreated it in Excel of course. This post takes you thru the process. Take a look at final outcome above. Read on to learn more. It’s Halloween time. As adults, we can’t go trick or treating. We can of course dress up in costumes and entertain others. But what about the poor spreadsheets. Don’t they deserve some of this fun too? Hell yeah! So I made a spider web generator in Excel. 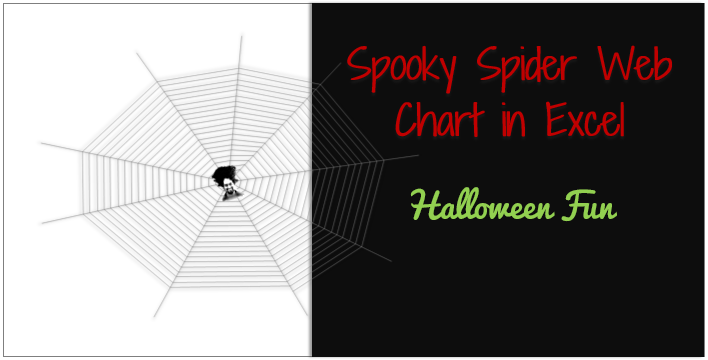 Just use it to make a spooky cob web pattern and add it to your report / dashboard / time sheet or whatever else. Surprise your colleagues. Over at Flowing Data, Nathan has published an interesting visualization about spread of obesity. 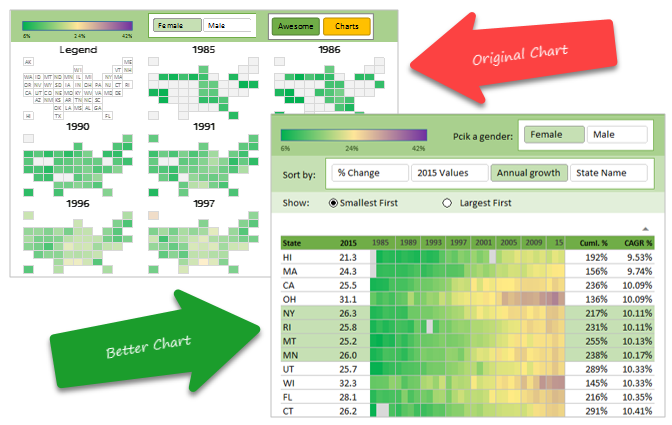 Understanding obesity trends for a given state over the years is hard due to the layout and format of the chart. Ironically, the chart itself is obese. It takes too much space to explain the data. 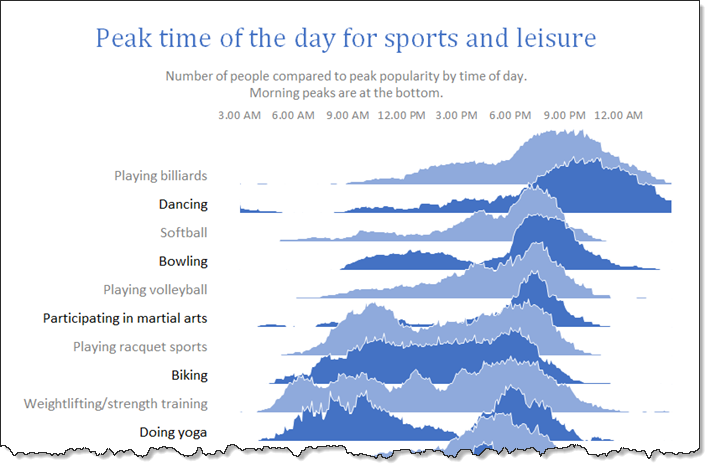 Nevertheless, the chart looks cool and can be reused with smaller data-sets (quarterly trends or just for a few years). So let’s recreate the same in Excel. While we are at it, let’s also build an alternative visualization to explore the obesity data. 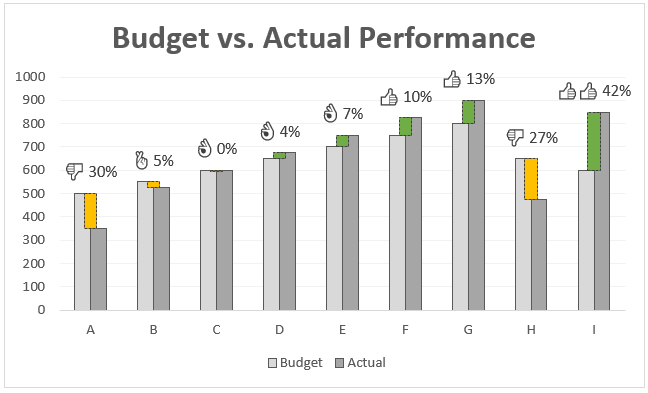 Over the years, we have discussed a whole heap of techniques to visualize budget vs. actual charts. Today let’s take a ride on this slope again and learn another fun, silly & awesome way to depict target vs. actual progress. Biker on a hill!?! Don’t worry, I didn’t fall down on a descent and lose my brain. 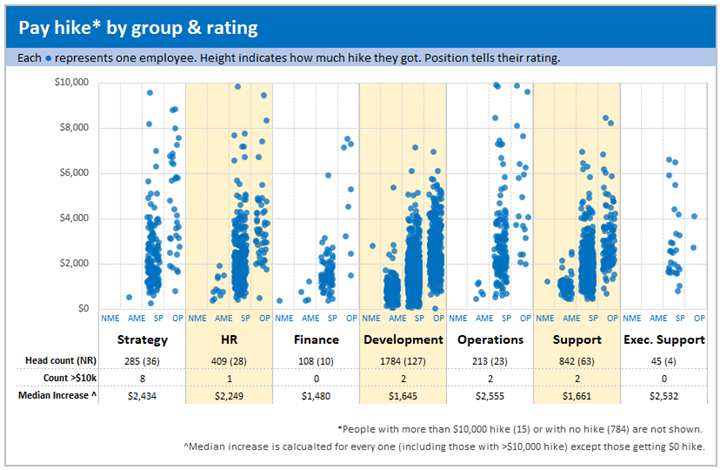 I am talking about an Excel chart to visualize target vs. actual progress on a time line with biker on a hill analogy. See the above chart, you will know. Looks interesting? 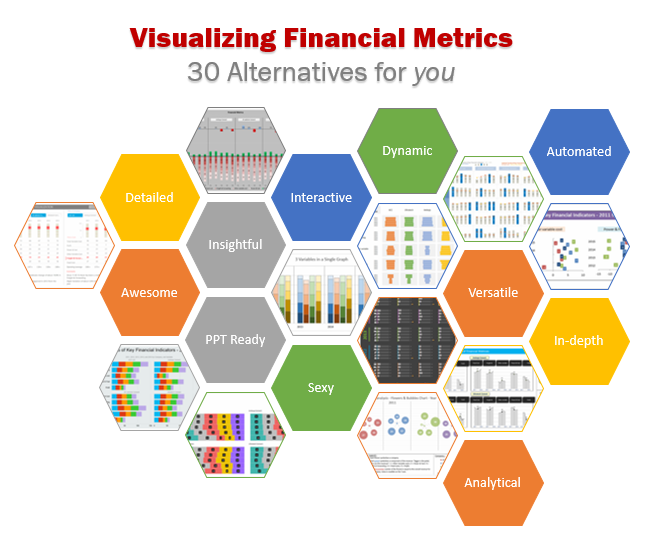 Read on to learn how to create this in Excel. Lets take last weeks Stacked Bar/Column Chart and add some high-performance steroids. 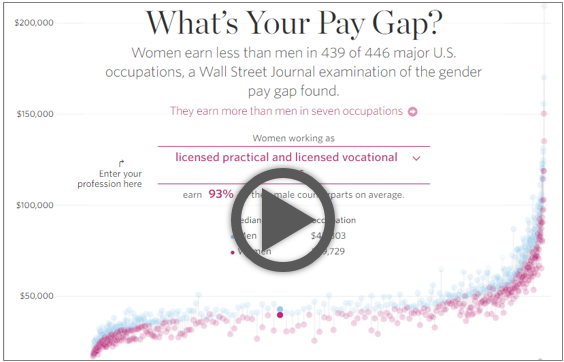 A few days back, WSJ ran a visualization titled “What’s your pay gap?” It depicts median pay gap between female & male workers in 422 different professions in USA. The chart uses fish eye effect to highlight the selected profession. See below demo to understand the effect.